The 2015 season marks the 17th season of BMW M as “Official Car of MotoGP”. Ever since 1999, MotoGP organiser Dorna Sports has been able to rely on a dependable partner in the form of BMW M when it comes to ensuring the highest possible degree of safety at the pinnacle of motorcycle racing. This successful partnership has grown consistently over the years. Last autumn, Dorna Sports and BMW M Division extended their cooperation up to and including 2020. This means we will be able to celebrate the 20th anniversary of BMW M in MotoGP in 2019. We are proud of this partnership, which spans over decades and is extremely rare in international, high-performance sports. BMW M has always been synonymous with technological innovations, and we are delighted to be able to present another new highlight this year: in the near future, BMW M Division will begin production of a model featuring water injection. 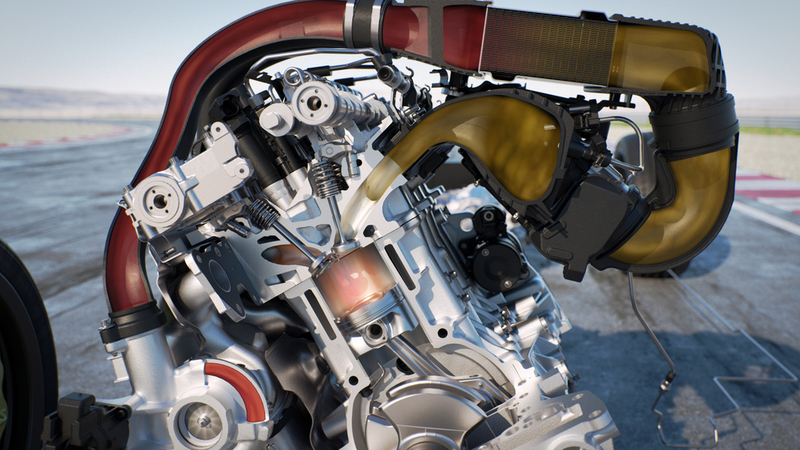 Water injection is a system designed to increase the performance and reduce the consumption of combustion engines. 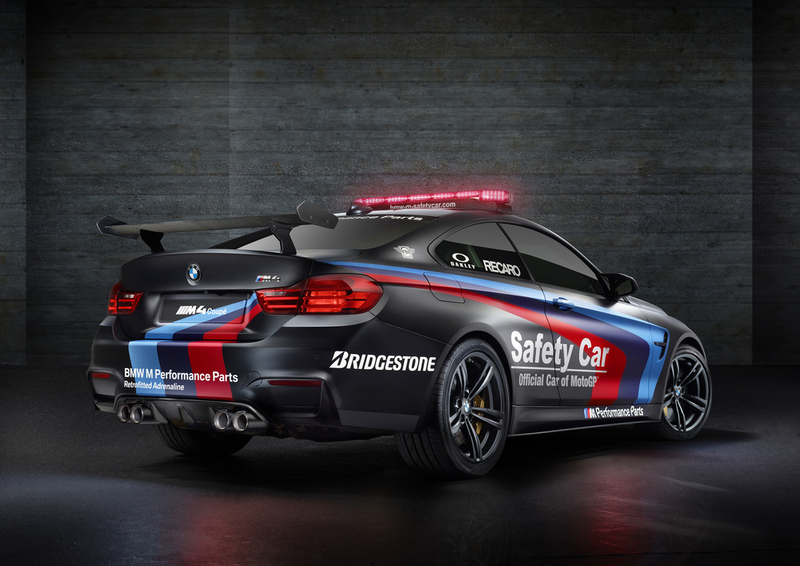 We will be using this technology in the BMW M4 MotoGP Safety Car for the 2015 season for the first time. When it comes to leading a field of high-performance racing prototypes safely in any conditions, technology gleaned from the world of motorsport and innovative ideas are indispensable. That is precisely why BMW M is the "most powerful letter in the world". The new water injection is just one example of this. Outstanding driving properties and impressive performance parameters – this is what allows our high-performance automobiles to master any challenge, whether on the racetrack or in everyday use. Millions of fans around the world are captivated by MotoGP. Therefore, it provides us with an outstanding opportunity to present our brand, technology and products to an international audience that is enthusiastic about racing. 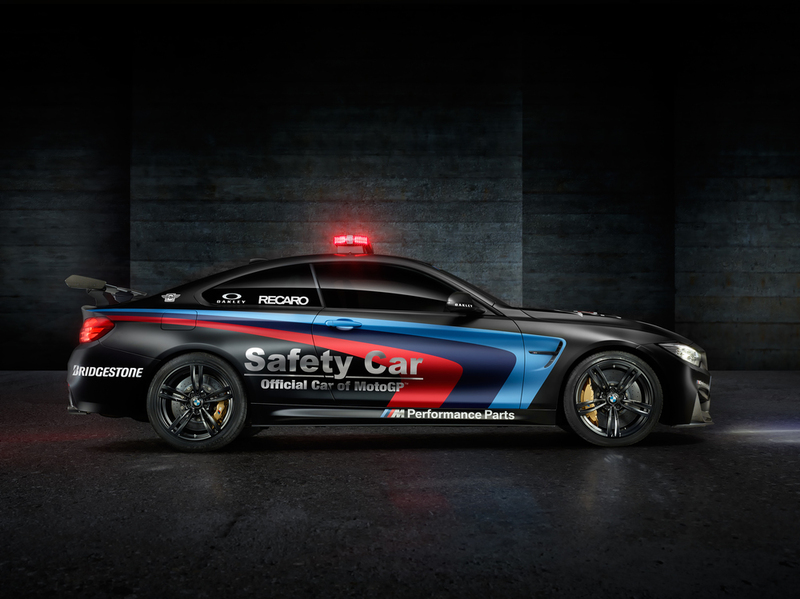 As well as providing a Safety Car fleet featuring the latest BMW M high-performance models, our commitment to MotoGP also includes many other activities. The BMW M Award, which was presented for the first time in 2003, is a much sought-after accolade among the world’s top motorcyclists. The BMW M MotoGP Experience and our BMW M MotoGP Experts allow us to offer our guests an unforgettable weekend of racing with an exclusive insight into what goes on behind the scenes. As if this were not enough, fans at racetracks around the world also have the opportunity to discover the wide world of BMW M at close hand.